Watermelons ripen in summer, between June and August, but some varieties of this fruit mature at the end of the year. Low in calories (30 kilocalories per 100 grammes), watermelon is a source of Vitamin C, and provides hydration and provitamin A (carotene). the small yellow watermelon is round with yellow flesh. 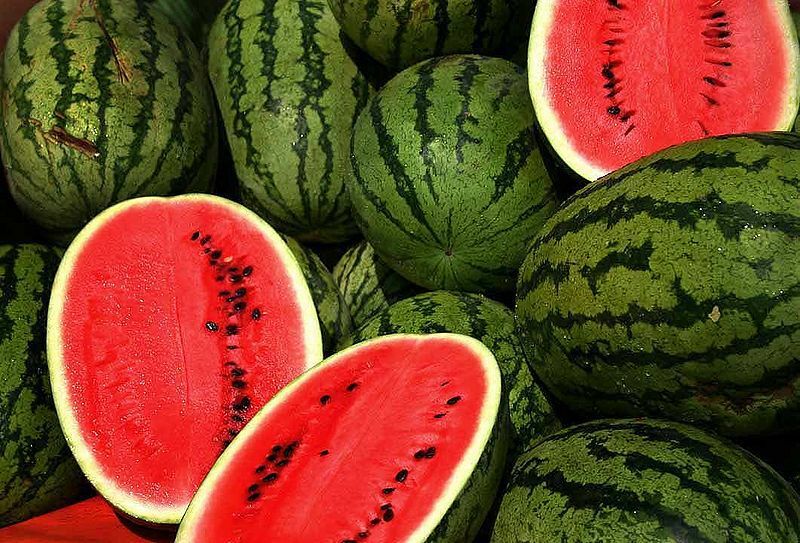 Watermelons have a smooth rind, uniformly green or marbled, and red or yellow flesh. Choose a heavy fruit (for some species, the weight can reach up to a hundred kilogrammes) with a waxy and shiny appearance. Its juicy flesh is crunchy and sweet.